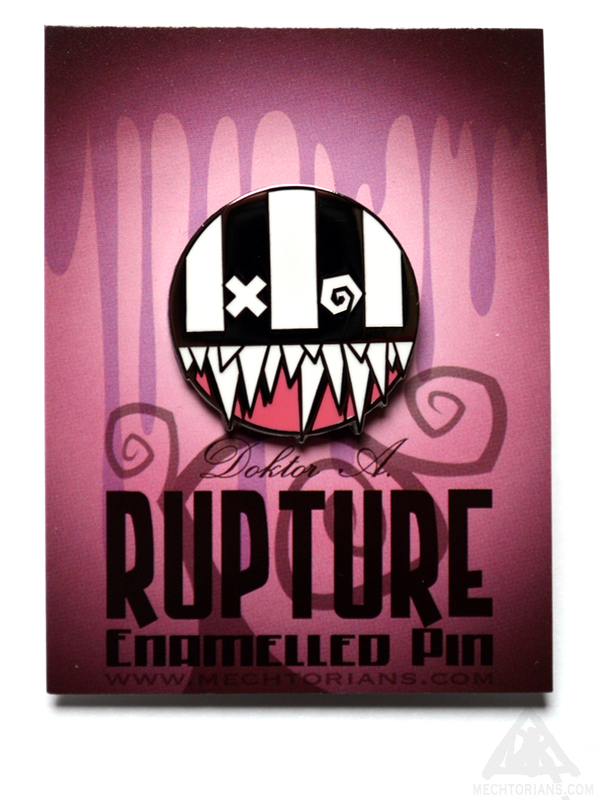 Finally Rupture the carnivorous fungus has been transformed into an Enamel pin. The popular toothsome character who has graced one of the most sought after Dunnys from Kidrobot as well as an official Android figure from Dead Zebra Inc and numerous customised art toys, can now live right on your lapel. 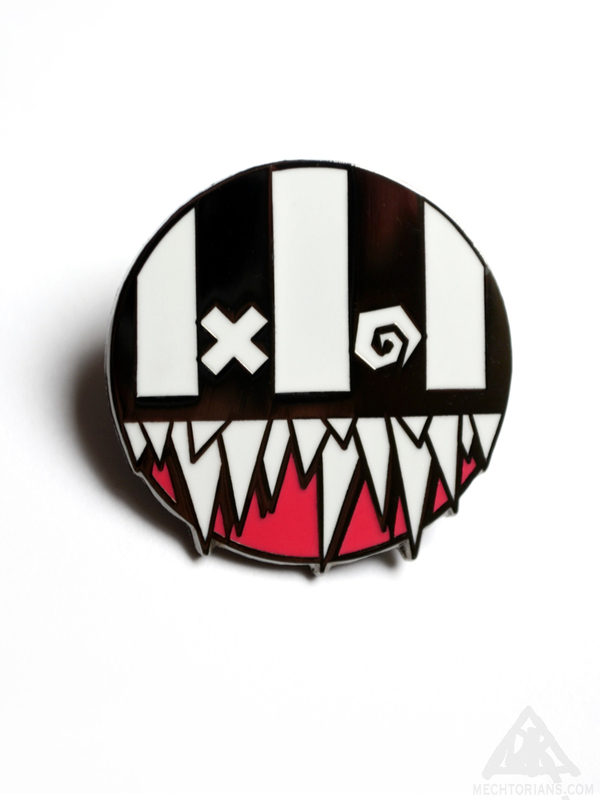 The 1″ diameter pin badge is made of solid black Nickel with a Hard Enamel fill. 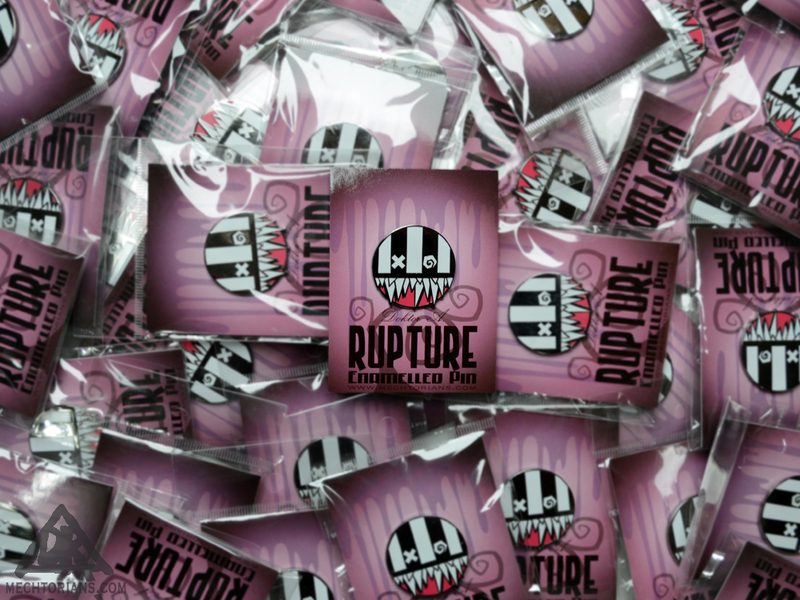 Each comes carded and bagged and has a black rubber grip on the back. Available now from my online store and all art toy stores with good taste around the globe. This entry was posted on Monday, October 31st, 2016 at 3:19 pmand is filed under . You can follow any responses to this entry through the RSS 2.0 feed. You can leave a response, or trackback from your own site.